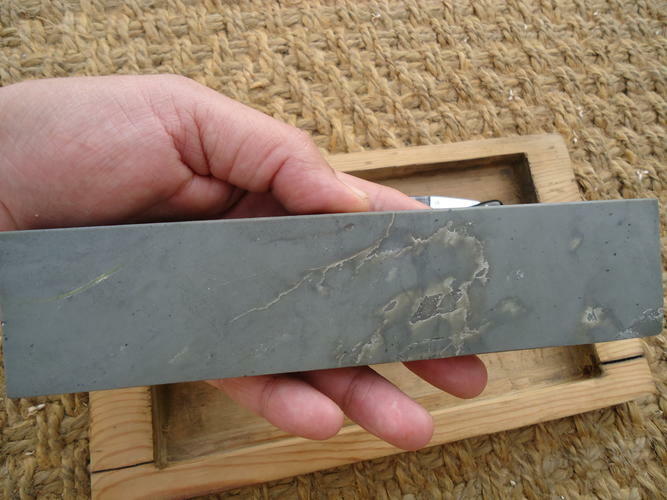 A few months ago a member wanted to know if his llyn Idwal stone was razor grade. 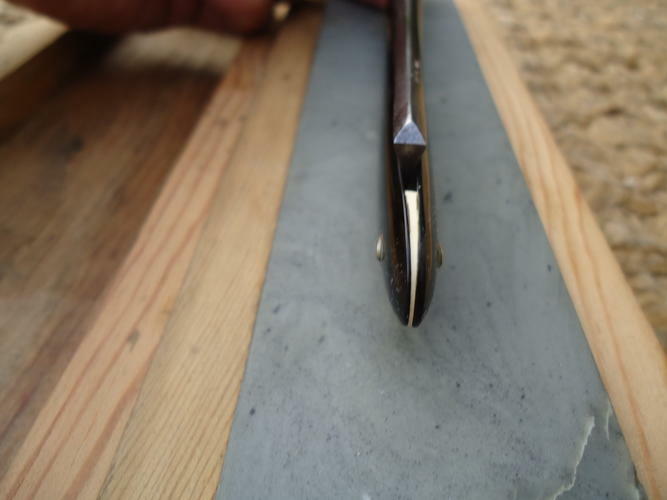 He also had a keen kutter and I offered to hone it on his stone to see what it can do. I knew that it was not going to be a fast stone but it felt nice and fine, so I set the bevel with a 1k synthetic then 4k,8k on his Keen Kutter. I did 100 laps with water and finished with 100 laps on Camilia oil. Next days shave test was very nice one, felt very similar to a nice Ark(translucent or surgical black). Definately better than the 8k but not as keen as a 12k. Very respectable as you can get them cheap sometimes. 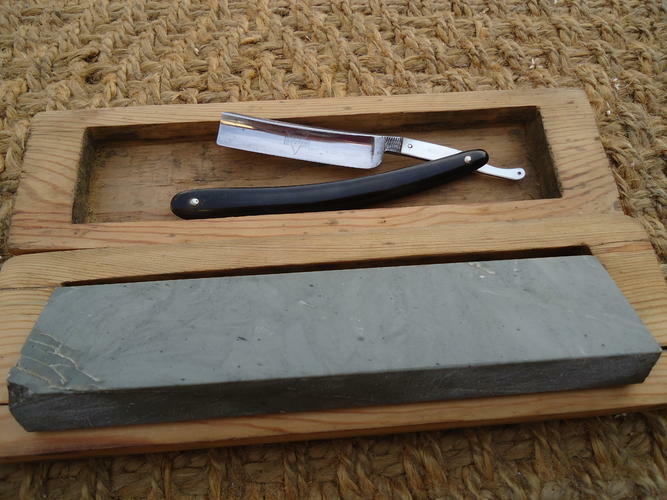 I returned the stone and razor to the member and asked if he would mind if I posted the results here and he agreed. A day or two later my fathers health deteriorated fast and he past away. Needless to say I was devistated as my father was a very very good man. Honestly I forgot about in the days and weeks after it but found the pictures the other day and one thing my father taught me was to finish what you start, amoung many other things in life. So I wanted to post them with my observations. Hone on everyone! RezDog, evnpar, jfk742 and 1 others like this. 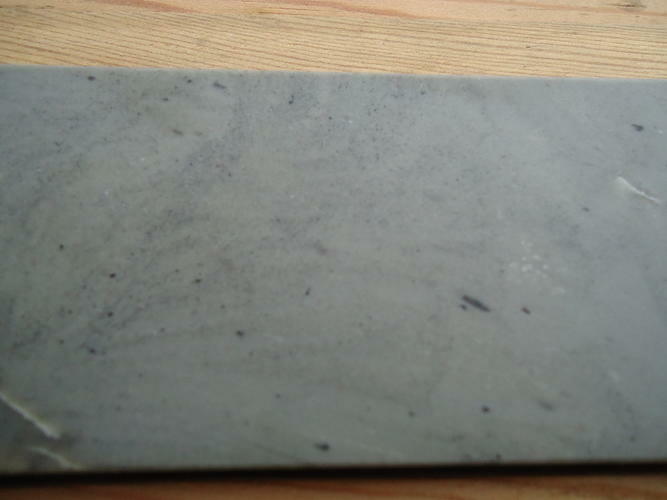 I have a Welsh Yellow Lake (Llyn Melynllyn) and it is also a nice finisher, as are many fine-grain slates. Sad news my condolences. But thanks for posting your findings on the stone. Sorry to hear about your father. It is a hard thing losing him especially when you admire him. I'm glad you felt compelled to do what he taught you. Nice info about the hone also. Thank you for the kind words guys! His passing has been very very hard. I find myself constantly remembering life lessons from him and apply them to mine. Like "finish what you start" and "do what you say you are going to do". Two that popped up when I found those pics of the llyn Idwal stone. So I finished what I started and posted the results of my testing. Another thing I would like to add is it has a little more feedback than a surgical black or a translucent Ark. Which makes it easier to tell where you are at while honing. My sincere condolences, although it was extremely brief I'm glad I was able to meet your father. More importantly, I can attest that you are indeed a man of character - when I was looking for honing information you invited me into you home and gave me a ton of knowledge. You lead me through a Jnat progression on a stone that I barely even even knew what to call; Heck you even let me *leave* with a Thuringian! Glad to see these pics I hadn't used that stone since we swapped our gear back out, and I didn't see this post until today. But I actually just had it out last weekend and it did a great finish on a couple of pair Joseph Rodgers and sons that I picked up a couple of months ago. Steel, Toroblanco, Gasman and 1 others like this. I like trying out new stones and got to help out another member, win-win in my book. It was a pleasure to meet someone with the same interests and help in any way I could. I could see he really wanted to learn how to hone properly and enjoyed it. So it was fun and easy to show him.He has a good eye and nose for finding nice straight razors. Again good eye cwomg!